Download SoraBook Blogger Template is a premium looking and professionally designed magazine blogger theme. 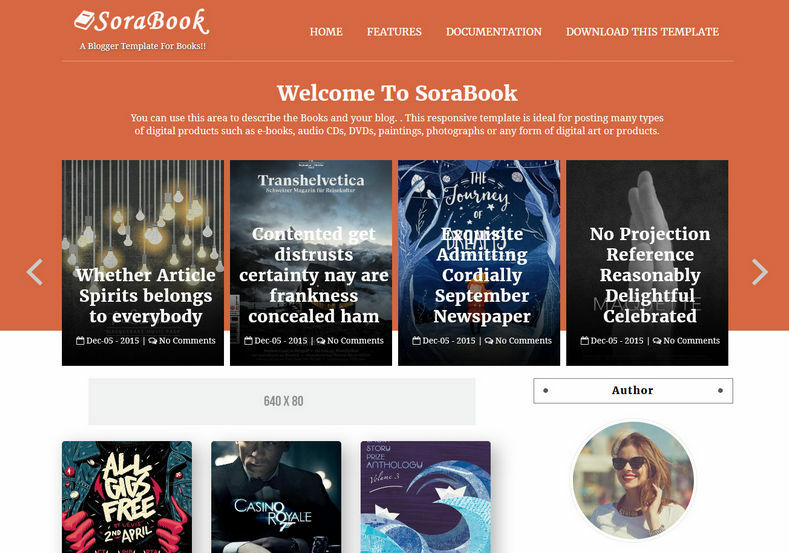 SoraBook Blogger Template is a responsive blogger template built for authors selling books online, a first book blogger theme from Sora which is dedicated to promoting and selling your ebooks. Showcasing your book in a quality and custom style is easy with Sora Book, the theme is perfect optimised and one of the best seo friendly design. Download Free SoraBook Blogger Template is a premium looking and professionally designed magazine blogger theme.